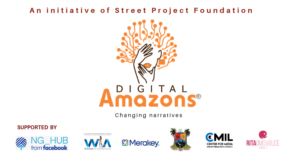 Digital Amazons is a three-week creative workshop for young women gifted in different areas of the creative arts. Participants will be trained by experts in Storytelling, Video Content Creation, Graphic Design, Photography, Copywriting, Digital Marketing, Project Management and Enterprise Development. Thereafter, they will be matched with mentors and placed on internships in Advertising Agencies, including Media and other Creative Organisations. The goal is to enable young women turn their innate creative talents into an enterprise that will guarantee them a sustainable livelihood. Applicant must write a compelling motivation statement of not less than 200 words and not more than 500 words why they should become a Digital Amazon. Applicant must upload or attach a video, audio, written document or image that tells an engaging story.